As the year comes to an end, it’s time to look back and celebrate women’s jiu-jitsu belt promotions. 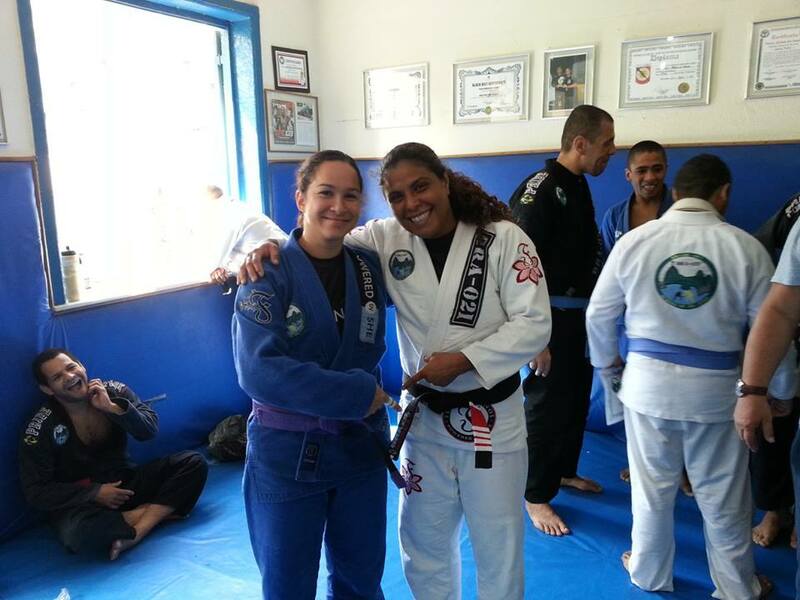 Lots of girls and women earned stripes on their white belts, fewer made it to blue and purple belt level. Even fewer made it to brown belt and just a handful of dedicated ones achieved the ultimate goal of becoming a black belt. 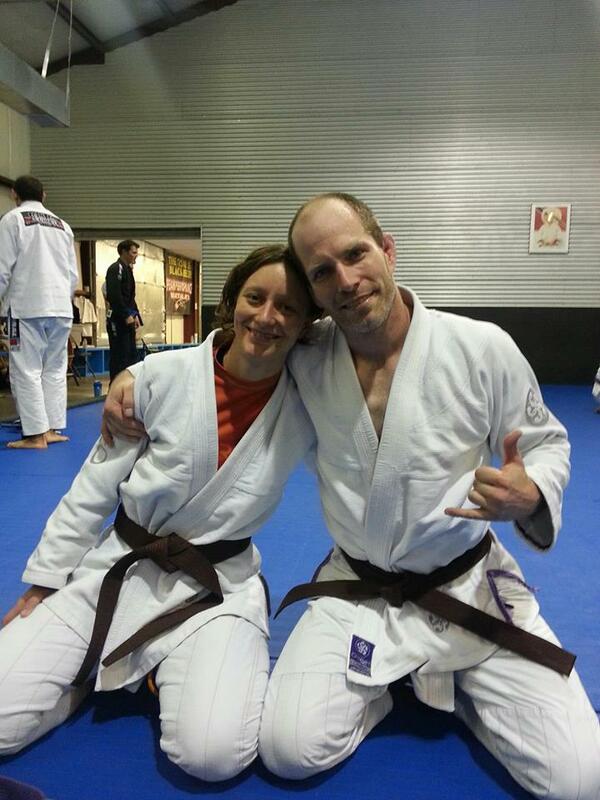 And then there are the super women who earned stripes on their black belts. You are all amazing! Only the ones who train know how much hard work goes into earning a stripe or a new belt. The countless hours of drilling, and sweating, being frustrated and getting smashed, injuries, and the random submissions transform into a huge smile on the day of the promotions. We all know the feeling of not being ready for the promotion, but excited and elated at the same time. We congratulate you on achieving your goals this year and hope that 2014 is full of happiness, good surprises, and lots of laughter. Leave behind grudges, sadness, and regret. May you continue to surround yourself with people who enrich your life, and stand by you through thick and thin. Keep it simple, and make it memorable! Here are some pictures from 2013 belt promotions. We hope you enjoy them. We end our fenomenal girls’ series this year with AJ Wurtz, from Midland, Texas. She is 9 years old, loves jiu-jitsu, color purple, and One Direction. When AJ grows up, she wants to own a bakery. Everyone meet AJ! How did you get started and how long have you been training? My whole family trains at Bruno Bastos BJJ, in Midland, Texas, but my older brother started first. I used to go and watch him train. The kids’ class looked a lot of fun and I wanted to try it. I have been training for almost a year now, and I am a four stripe white belt. What do you like the most about jiu-jitsu? My favorite part is learning new techniques. I like to learn and try new things. I also love all of my BJJ friends and my coaches. Do you like to compete? What is your favorite tournament so far? I like to compete. My family has competed three times. Competing is fun but also challenging for me because I compete against girls and boys. My favorite tournament so far was Fight to Win Torque in Dallas, Texas. It was the first one for my whole family. I got a bronze medal, and got to go to Six Flags the next day. What is your favorite submission? I like armbars a lot. I also get to train judo with one of my coaches, and my favorite judo technique is o-goshi which is a hip throw. Do you ever get bored in training? No, I don’t get bored because my coaches make training fun. I’m always ready for class, and also love seeing my friends. Who do you look up to in BJJ and in life general? 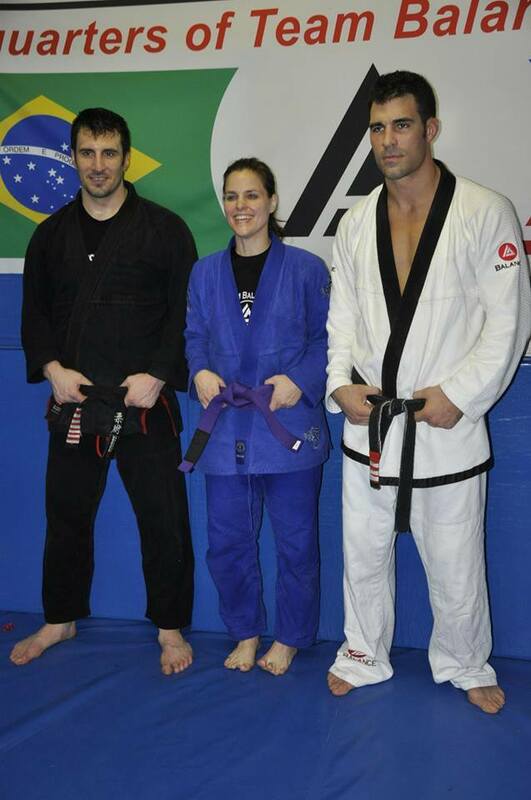 In jiu-jitsu I look up to my coaches Bruno and Petya Bastos. They are like a family to me. In real life I look up to my parents and my big brother. What do your friends think about BJJ? My friends like that I train jiu-jitsu and think it is awesome! They think my gis look cool. I wish they could watch me compete. Mom: AJ has the biggest loving heart. She doesn’t discriminate against anyone. The first time she was ever in big trouble at school was because she stood up, and defended her friend who has a physical disability. She was sent to the office for pushing the kid who made fun of her friend who is missing parts of his feet. Needless to say, she was not in trouble when she got home. I praised her for standing up for her friend. Dad: AJ loves to talk. A lot. She is also extremely competitive with her big brother. One day in kids class, her talking and arguing with her brother got her into some trouble with her coaches. They both ended up in the corner, facing the wall but having to hug each other the whole time until her coach was sure they had learned to love each other again. I will never forget that day. At first AJ was not very motivated to train. However, I saw that she did not like to lose in sparring, so I realized that she had a competitive spirit. I asked her if she would like to compete. AJ competed and lost her match. She was upset and cried, but started training more and harder after the loss. She is motivated by challenges. If she is motivated, she goes after what she wants and that has made her much more successful in tournaments. 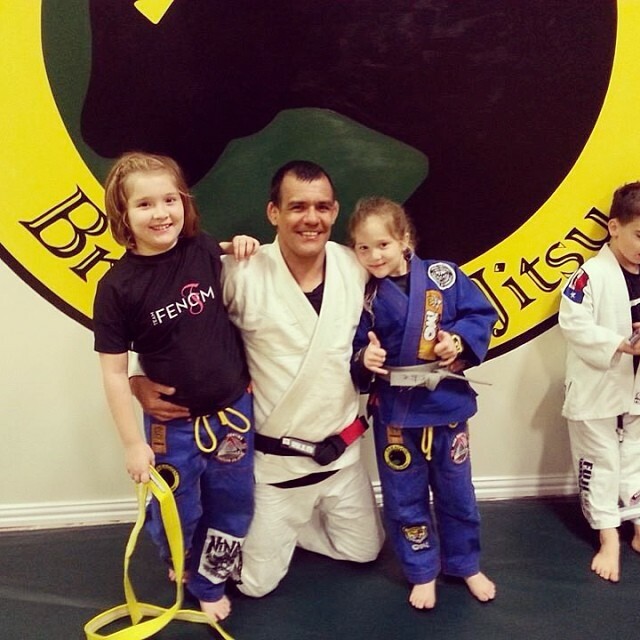 I try to teach my students to do the best they can every day, not only in jiu-jitsu, but also in school and at home. Always try to fight for what you believe is worth. AJ is a good role model because she fights for what she believes in and has a great attitude doing it. Our fenomenal girls’ series continues with Maddie Sheng from Smithsburg, Maryland. She is 13 years old, loves art, animals, and jiu-jitsu. She is a straight A student and a great role model for teens. Everyone meet Maddie Sheng! 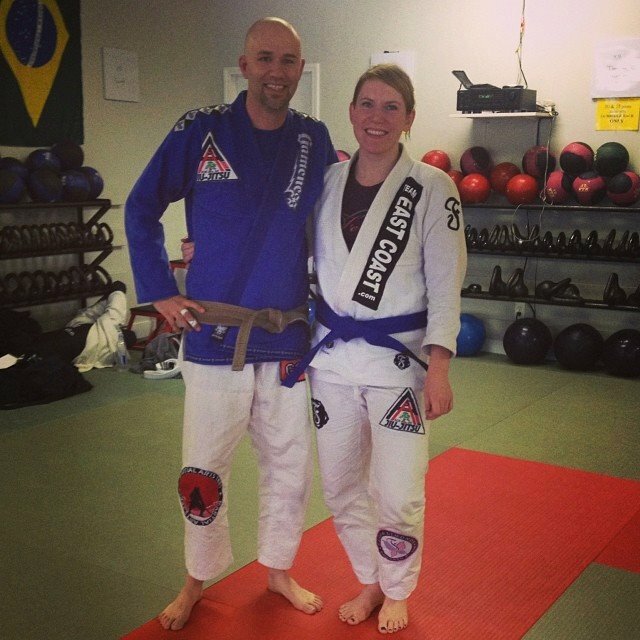 How did you get started in BJJ and how long have you been training? My dad took me and my younger brother to try out a BJJ class as a summer activity five years ago. We liked it and have been training ever since. We train at Frederick Fight Club, under Vicente Junior, third degree De La Riva Black Belt. I train 6 days a week. What is the best part of the training? The best part of the training is learning crazy new moves, drilling them, and then putting them to use on the mat in sparring. I like to roll with different people, especially if they can help me work on my weaknesses. You compete a lot. How many tournaments have you done so far and which one is your favorite? Yes, I compete a lot. I have been competing since I was eight years old, so I’ve lost count of how many tournaments there have been. I usually do gi, no-gi, and girls’ open class so I get a lot of matches. I really liked flying to California to the Kids Pan Ams this year. I took bronze medal in teen 1 yellow belt division. However, my favorite tournaments are Junior Grappling Association events. My favorite submission is the triangle! Do you have any favorite BJJ ladies that you look up to? I really look up to Emily Kwok. We try to go to Princeton BJJ any time we are visiting my grandparents in New Jersey, which is about 2-3 times a year. Do you do any other sports or do you have hobbies? I love to draw, and I love my pets! I have a dog named Abbey, a pot-bellied pig named Pugsley, and chickens. I also do judo and circuit conditioning training. What do your friends think of jiu-jitsu? They think it’s cool but I don’t think they really understand what I do. What would you tell other girls who are not sure if they should try BJJ? The best advice would be to try it! It definitely helps build your confidence. 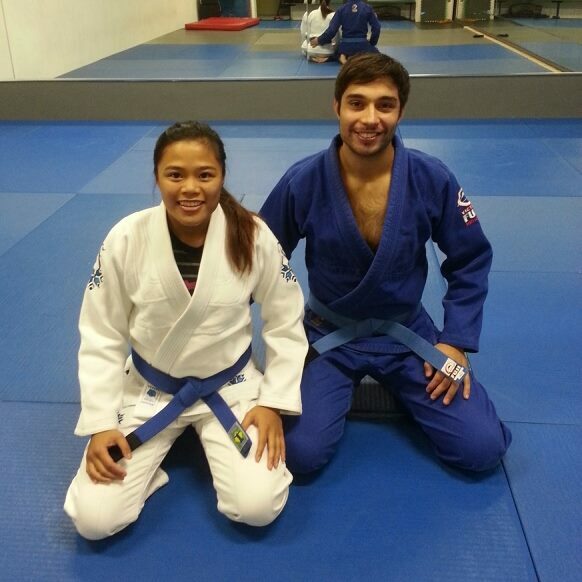 I see a lot more girls in jiu-jitsu now compared to 5 years ago. How are you doing in school? What do you want to be when you grow up? Maddie is a very attentive and technical student, always eager to learn more. She has become increasingly more aggressive in the last few months, and is definitely a force to be reckoned with. 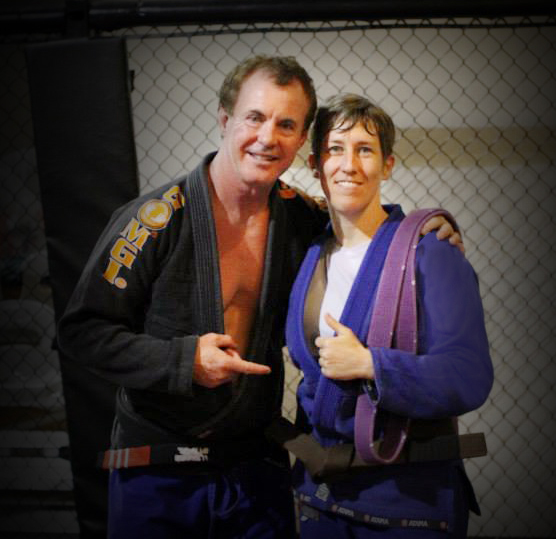 After her next belt promotion, Maddie will be taking on a new responsibility to help guide new students with their BJJ development. 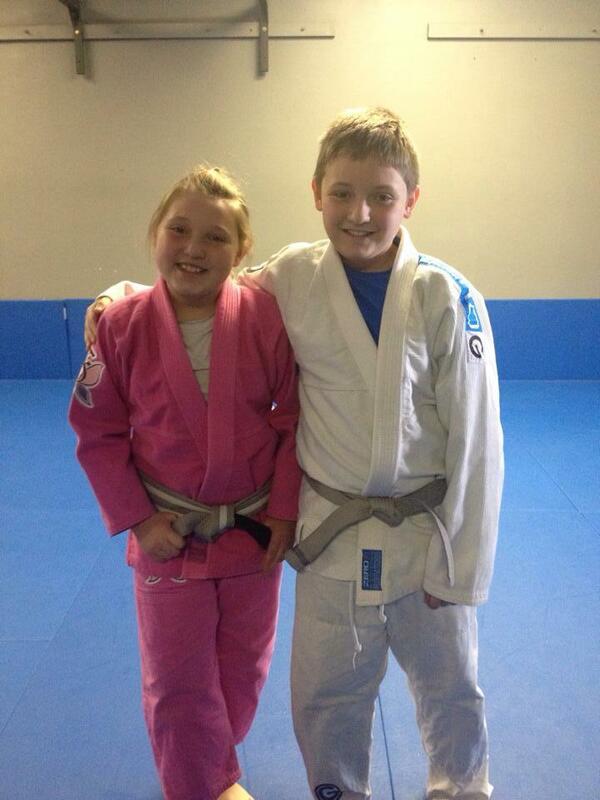 Maddie has a bright future in BJJ! Maddie is very humble. We have watched Maddie putting her opponent to sleep with the triangle choke but she doesn’t tell anyone that. After tournaments she does not call her friends to brag about how many boys she beat or how many matches she won. Her achievements are hers and she is content to keep it that way. We are very proud of the young lady she has become! We are kicking off a new interview series featuring great grappling girls who are the future of women’s jiu-jitsu. Our first fenomenal girl is Breezy Schumacher from Seligman, Arizona. She is 10 years old, a yellow belt, has the coolest braids, and loves to compete. Everyone meet Breezy! How did you get started in jiu-jitsu and how long have you been training? My dad and two older brothers began taking Brazilian jiu-jitsu classes at GD Jiu-Jitsu Prescott, with Master Steve Judson in 2010. My mother, younger brother, and I would just watch them do jiu-jitsu from a small window above the mats. I thought it looked fun, so I decided that I wanted to try it out. I’m still enjoying jiu-jitsu 2 1/2 years later and have pretty much been the only girl in an all boys class. What do you like the most about BJJ? I really like the rolling part of jiu-jitsu and training for competitions because it is usually harder. I like competitions as well, they are really fun to me. I have done 12 tournaments so far, and my favorite BJJ event is the Arizona Jiu-Jitsu State Championship. I once had to roll 5 matches, all with boys because no girls had registered. It was tough, but I did very well. Winning 4 out of the 5 matches. This year I won my division at 2013 Abu Dhabi Pro BJJ World Trials, IBJJF Pan Kids Championship, 8th Arizona International Jiu Jitsu Open, and 5th Arizona Kids Cup. I like chokes from side control the most. My favorite submission is the baseball bat choke. Do you have any favorite BJJ ladies that you look up to or like to learn from? Yes, I look up to Kristina Barlaan. I went to check out her INSPIRE – WOMEN ONLY OPEN MAT, and met other great ladies and girls but I like rolling with her, and learned a lot from her. 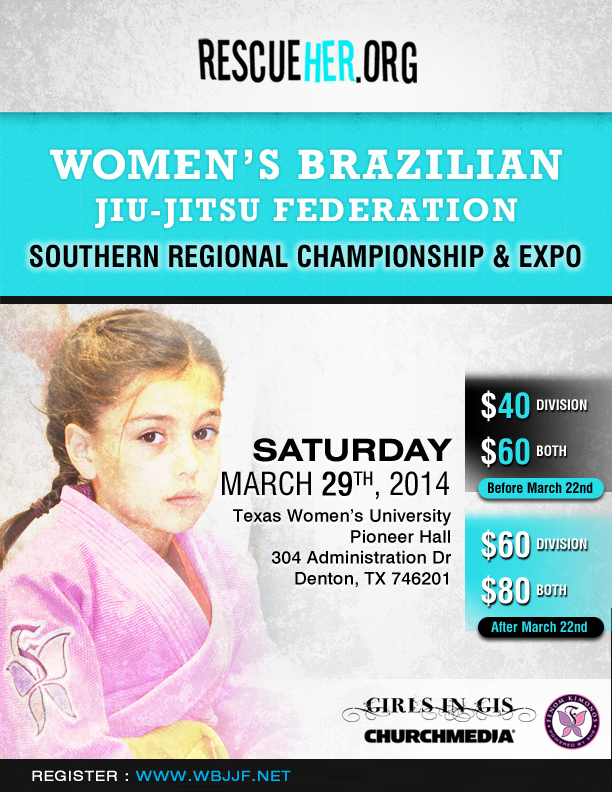 I plan on attending the Petite Inspire, 5-15 year old girls’ jiu-jitsu open mat, on May 25th. Do you ever get bored with jiu-jitsu? There is nothing boring about jiu-jitsu. It is sometimes tough but not boring. So usually, I just get my rest, drink some “ACAI 100” for a nutritional energy boost, and eat well before my next class. Do you do any other sports or do you have other hobbies? What do your friends think about jiu-jitsu? My best friends are all in jiu-jitsu, so they must really like it. A few others that are not in BJJ think that it is really cool, and might try it someday. What would you tell other girls who are not sure if they should try jiu-jitsu? Jiu-jitsu is awesome and you should try it. It’s great for your health and it is a lot of fun. Plus jiu-jitsu makes you stronger, which is good if you have older brothers. They can become great rolling partners for you. Breezy is an awesome student! I couldn’t ask for better. 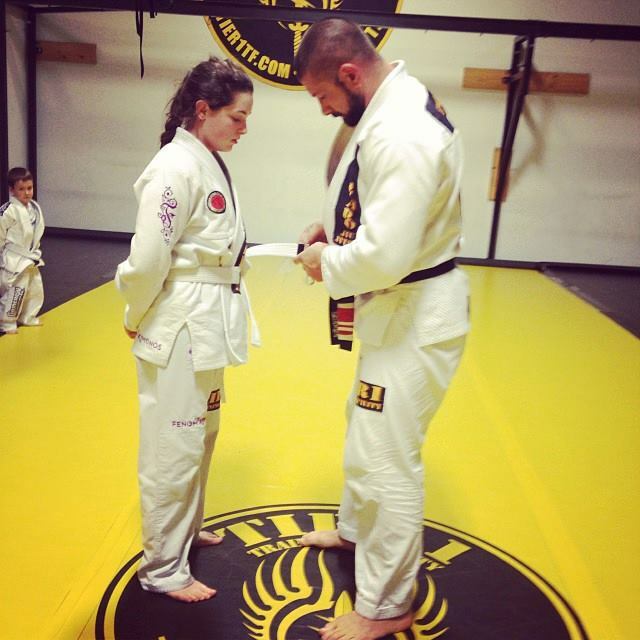 She listens well, works hard learning new techniques, and trains hard. She helps out with teaching new students, and has patience with them. Breezy is always smiling in class and at competitions, win or lose. She shows great sportsmanship or should it be sportswomanship. She will be a world champion, and maybe even the face of women’s jiu-jitsu. It would be great to be able to put a black belt around her waist one day! When Breezy was six years old, a female artist took a picture of her, and painted her into the BEYOND WORDS mural on a wall of Prescott Public Library, in Arizona. Most people don’t know that the girl in the mural is actually a painting of Breezy. Women’s Only Class in North Carolina! 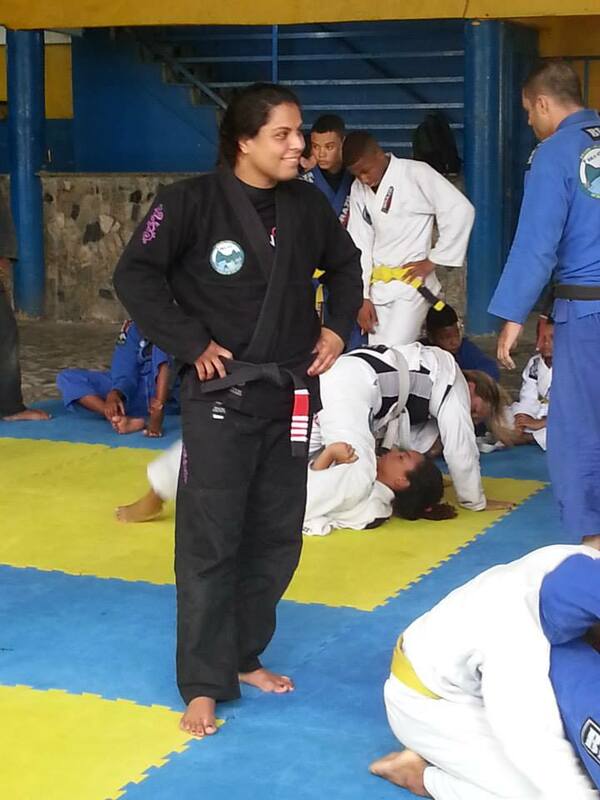 Women’s Brazilian Jiu-Jitsu is spreading like wild-fire. All of the world, there are open mats, seminars and regular classes popping up as women organize and find their place. The recent 2nd Anniversary Girls in Gis in Houston was evidence that Women’s BJJ has come a long way. As an early supporter of the event, we remember showing up and being completely blown away with 10-15 participants. These days events pull in over 40 participants! What makes events like this successful is the daily dedication of women in each local school. Sure, there’s a lot of promotional and logistical work required, but the effort to create an inviting environment for new women to start training (and stick around) is where the real impact is made. 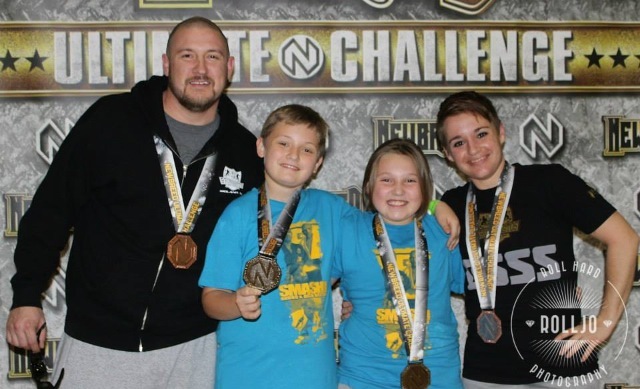 Women like Suay Al-Aziz of North Carolina’s Combat Club are creating lasting impact. When we found out that Suay was teaching an ongoing women’s class at her home academy, well… we just had to share her story. Hi Suay! Tell us about yourself and your Jiu-Jitsu Life. Hello, my name is Suay and I AM a jits addict! I’m a 30 something Navy wife and mom. My kids range from 18 years to 4 years old. I joined the Army right out of high school as a Combat Medic. I was working Managed Care at a Naval Hospital when I met my husband, Saad. I started my training in San Antonio after checking out Relson Gracie giving a seminar in Feb 2010. I had never even heard of the Gracies or BJJ before this seminar ( I know–how is that possible! Just consider me a late bloomer.). I only knew my husband was really into it and he always was driving across town to train. One afternoon, he said he was going to a seminar and curiousness got to me. I didn’t participate, but after about ten minutes I really wanted to jump on the mats. If I had seen this dude on the street, I would have never thought twice about him. It was insane how motivating he was to me. He really showed how anyone could dominate and size didn’t matter. For my birthday I got a gi and and a year’s worth of BJJ lessons at Relson Gracie San Antonio. 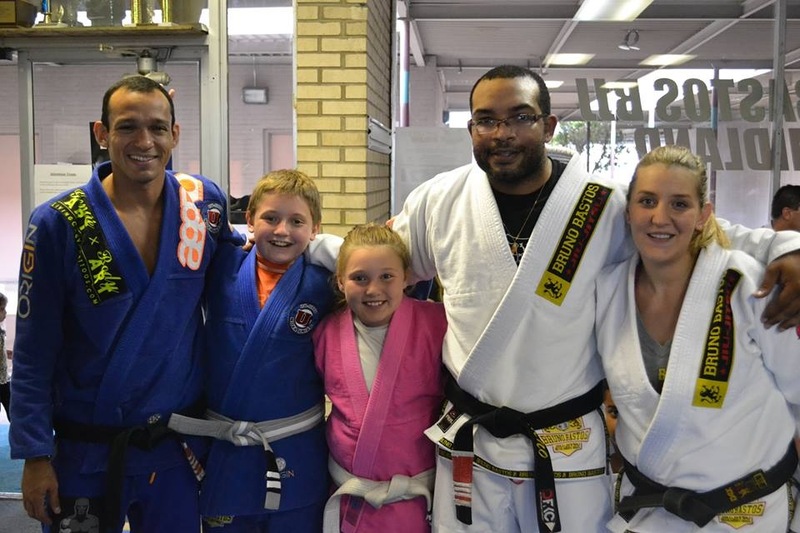 Since we are military, we were transferred to Jacksonville, NC where I currently train at Combat Club Martial Arts and Fitness, a Saulo Ribeiro affiliate school. Currently I’m a 2nd degree blue belt. 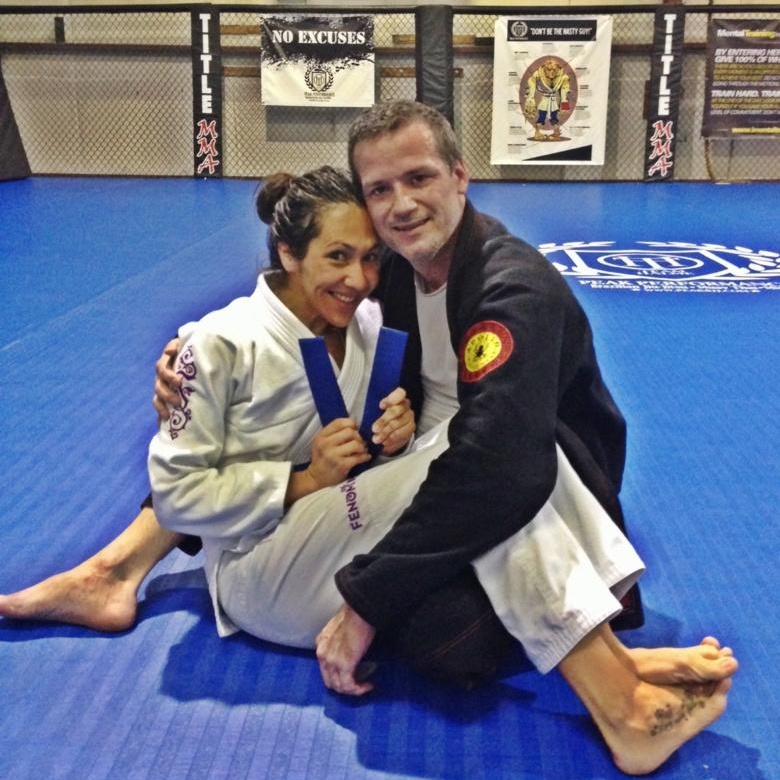 I wish my husband had hooked me on Brazilian Jiu-Jitsu earlier…I’m kind of mad he’s got 2 years on me! What do you do besides train bjj? Work? School? I never thought that I would ever step away from nursing, but military moves make it hard maintain. Currently, I train BJJ six days a week with my husband and 4 year old daughter. I really enjoy being able to share my enthusiasm with them. It’s awesome to be able to around other jits nerds. The best part is that I can take my daughter to work with me. I actively work for a charity called In The Cage 4 Kids that assists children with cancer. The owner of Combat Club, Chico Santiago, started the charity after his 6 year old son died of a rare cancer a few years ago. It’s great cause and I’m always looking for a way to help them expand and progress. I also manage the fight team at Combat Club. Do you do participate in other sports activities? I’ve already got my college degree and I’m pretty lucky that training and work is one in the same for me now. I do train in Arnis, a Filipino style martial arts that involves eskrima fighting sticks. It’s pretty awesome when we do the 3 man synchronized kata. It’s a work in progress. Is there anything better than BJJ out there? You’ve managed to start quite a successful women’s class in your town. Tell us more about it. Why did you decide to start women’s only class at your school? What were the obstacles and how easy/difficult has it been to keep the ladies coming back week after week. It all started with a self defense seminar called Ladies Fight Back that the gym hosted. The stipulation was bring a friend and it’s free. It was a huge turnout of ladies. We had girls from the community college, military wives whose husbands were deployed, prior victims of assault and just women who wanted to know how to handle possible situations. That one time event lead to a monthly Saturday class, which turned into my ladies BJJ class. They started me off with one class during lunch on their slowest day to test the waters. Now I teach four classes a week. My class started with 4 ladies and now I have 14. It’s quite a blessing to have so many training partners. I never expected so many women to have a interest in BJJ. Some of them attend the evening co-ed classes, but most of them are strictly daytime. I focus on the basic fundamentals with the ladies. We drill a lot and do timed rounds of rolling to prep them for tourneys. I do incorporate the things I learn at seminars and some Ginastica Natural. I encourage the women to attend the seminars with me and to compete to keep their skills fresh. It also helps that we have a kid’s room to make it easier for moms to get a workout in. There was a great response with having a place for kids to play while we trained. We are very family oriented and it shows. I try my best to emulate Josh Lauber and his teaching style. He has most definitely left a lasting impression on me. When they first approached me about teaching a class, I was worried that no one would want to learn from a baby blue. I was wrong. I never had so many female training partners than I do now. I’m still learning, but teaching has made me really focus on having my fundamentals down. We get to grow together and it is really good to see the progress. A few of my girls have placed at NAGA and will test for blue belt this month. I’m just happy to share the knowledge that others have passed to me. We need more female BJJ players! These ladies mean business, they are serious about training and some take the advanced classes with our brown belt, Philip Wyman. Do you compete? Do you push your women to compete? How much of the teaching is focused on self-defense and how much on sports Jiu-Jitsu? Honestly, I spend most of my time going to seminars all over so I can keep my game evolving. I do encourage the girls to try competing once or twice just to say they tried it. I competed at my first tourney in Houston, TX and I was super nervous. But you just can’t get any better coaches in your corner than Josh Lauber and Daniel Moraes. I took home the gold and I had only been training about four months. 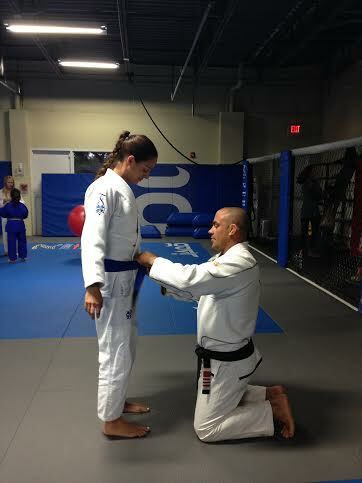 We do cover self defense a lot, but mostly it has been sport BJJ per the request of the ladies. I do plan on competing more with the girls as a group. Our academy is planning to attend the NAGA in Atlanta, GA and give it a go. What do you see yourself in 5-10 years? Still teaching? Training? I definitely see myself training and hopefully still teaching in the future. It’s a great lifestyle to have. Since I’ve started training, I have dropped almost 40 pounds. I have learned to make easy, healthy adjustments to become more fit. Everything we do revolves around BJJ. It truly is a way of life. I can’t imagine ever stopping, not even if i lost a limb. It’s like therapy to get out on the mats to unwind. I’ve made some great friends since I’ve started jits and have had the honor of training with some of the best players out there. It’s one big happy family for me. And I love that the sport just keeps on evolving. It’s our ultimate goal to open our own academy when he retires from the Navy. I can’t wait! Hi Saad (Suay’s husband)! Please tell us a few interesting things about Suay that we don’t know. Suay is a talented auto mechanic who learned the skill from her father and brother while growing up. She has helped restore my 1966 Ford Mustang and is the primary mechanic for the vehicle. One day my neighbor came over while Suay was under the car fixing the transmission line and started a conversation assuming that he was talking to me and to his great surprise Suay came out from under the car and said, “I am not Saad.” LOL! Thanks for sharing your life with us and keep up the great work Suay! Just like every small start-up company out there, we constantly deal with things that go wrong. Everything ranging from product specifications, vendor management and late shipments. Fortunately, we’ve been blessed with a solid base if supportive and happy customers willing to forgive our shortfalls when we drop the ball every now and then. During our most recent scramble to get orders out, one particular situation stood out from the rest. Melinda Bringham of Virginia ordered a Fenom Lotus Gi for her daughter Becky’s birthday! The women BJJ goddess was in our corner and instructed the United States Postal Office to get the Gi to Becky a few hours before her birthday party! Becky has been training for 2 years under Pat Tray of Trident Academy ( www.tridentmma.com ) and has been actively competing since May 2010. She has excelled in the sport very quickly and is now competing in the advanced divisions for her age group. She has competed in Junior Grappling Tournaments ( www.jrgrappling.com ), NAGA, The Good Fight, and US Grappling up and down the east coast. 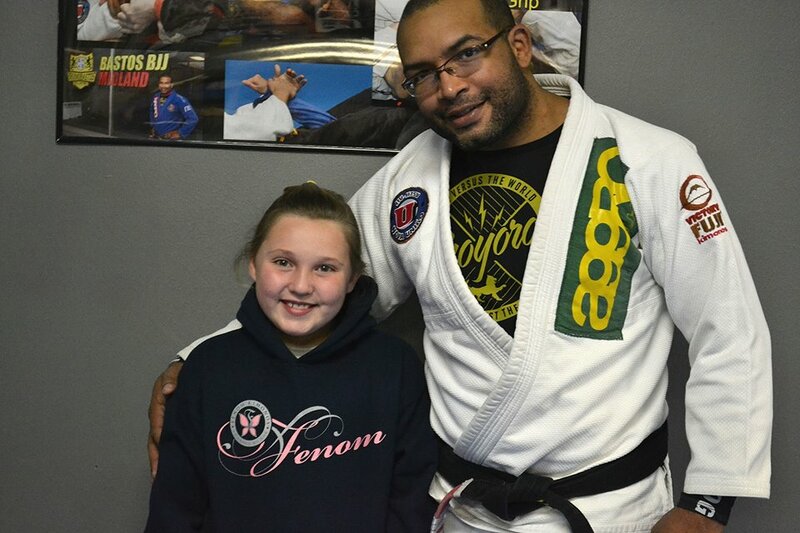 She is an Honor Roll student and also is a member of her middle school volleyball team and wrestling team but still makes time to train for 2 hours sessions 4-5 times a week in her favorite sport of BJJ. She is very lucky to have a few younger girls to train with at Trident Academy but she likes to train with the older boys to sharpen her skills. She has never let gender be a barrier for her. She quietly sets personal goals and has the drive and determination to achieve and excel in everything she does. 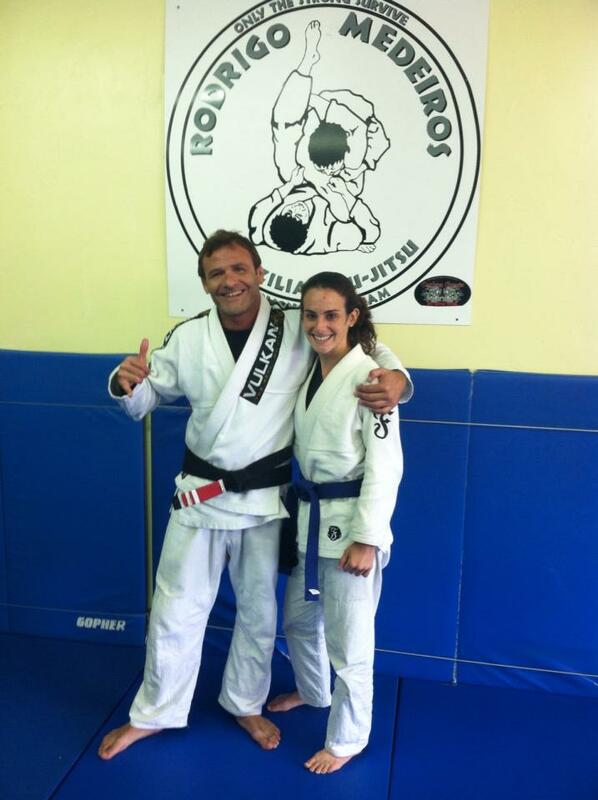 I have watched my daughter gain self confidence and inner personal strength through her BJJ training. She now has her sights set on the Pan Am Games! 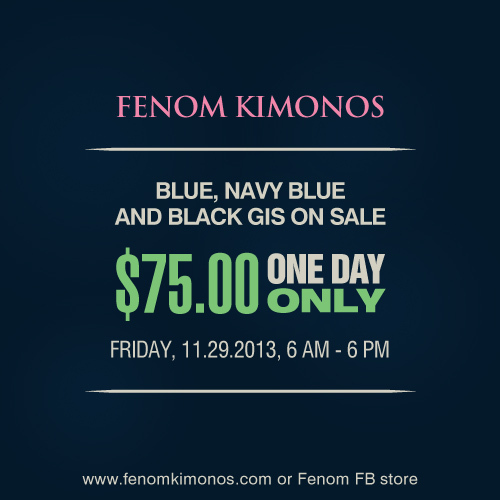 We would like to thank everyone at Fenom Kimono’s for ensuring that the kimono ordered for her 13th birthday arrived only hours before her birthday party! She was thrilled that it fit great and she finally has a kimono that works for her size! Most kimonos are way too wide and too short for her. The birthday girl rocking her new Fenom Lotus. Becky with friends and family. Becky receiving her orange belt!